This is a great FREE project to make a versatile chain. The Dino Bone component is perfect for an earring, bracelet or necklace! Janice breaks down the steps and makes it fun and easy. This class has a running time of 10 minutes. File Use a salon board or similar file. 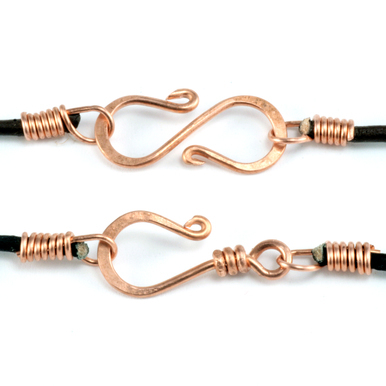 I am making this today because I love the design but I gave this video 4 stars instead of 5 because I wish Janice would have showed the finished ss design and would have showed us how to do the wrap on the copper design instead of making the viewer look it up other wise I really love that this is a free class. Thank you! I LOVE the look of these links! You can do so much with this class. A chain for a necklace or pendant or just a chain. Would make a beautiful bracelet. 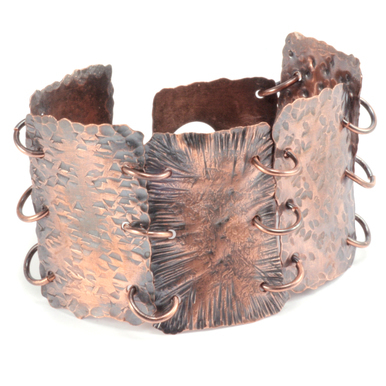 Great in sterling silver, but I have some heavy gauge copper wire which would make a fabulous Southwestern style wrap bracelet. Janice explains in a clear, concise manner, and shows what to do and not do. Basis for a Great Chain! The length of how to segments are just right and allows me to be flexible with my time.